Express your individuality with this Old Meets New denim tote! 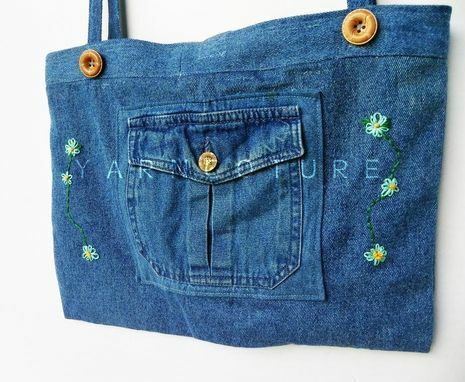 Inspired by my personal interest in recycling clothing, art and love for embroidery, this tote was hand crafted from an old skirt and jeans. A colorful lining made from a gently used tiered cotton skirt has been attached inside with a newly made pocket for your keys or phone. 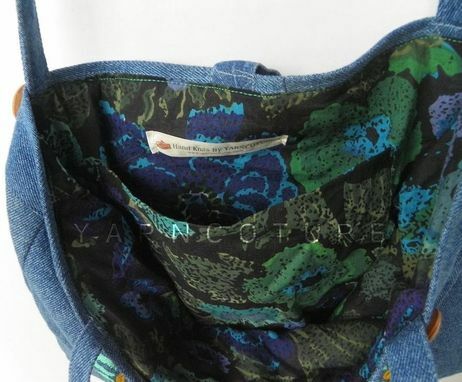 An additional jean pocket was sewn to the back of the purse to provide a more secure pocket for other items. 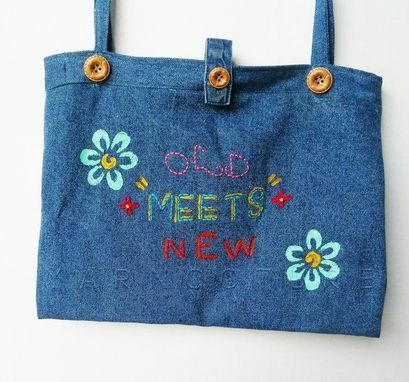 I finished off the tote with my hand embroidery using vintage embroidery thread handed down to me by my mother. 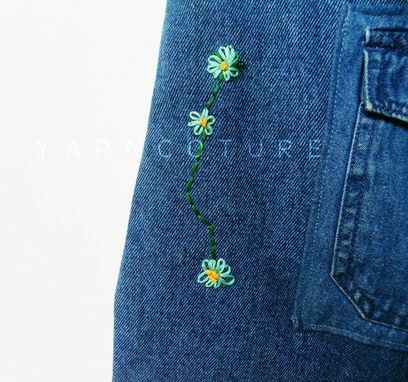 I hand painted the flowers as well as the accents around the embroidered lettering. 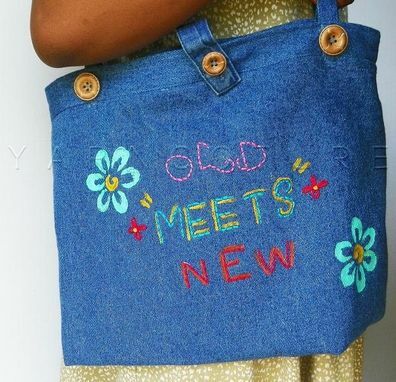 I hope that you'll choose my Old Meets New denim tote for fun picnics, weekend shopping trips, or an interesting graduation gift for a college-bound young lady or teen. Makes a special treat for yourself as well!